The internet is flooded with tips and tricks to keep your mane healthy. Breaking news: only 10% of them are true. Surprised? Well, it’s true! There is a lot of beauty information floating around on the internet today but chances are that most of it is not true. Here are 5 common hair care myths most of us blindly follow, that are damaging our hair every single day. P.S: You might be shocked by what you read! 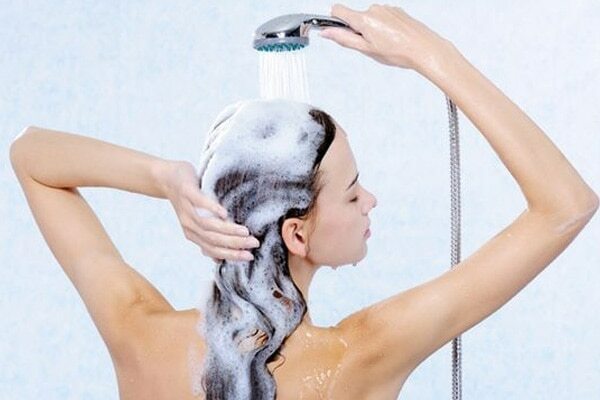 Hot water is not good for your hair, scalp, skin and life. On the contrary, it damages your scalp and makes it dry, itchy and flaky. Hot water not only disturbs the pH balance of your scalp; if you continue taking long hot showers, chances are your hair will lose its texture and shine. Absolutely not! Heat protectant sprays are a must. You shouldn’t be using too many heat tools in the first place. But even if you do so, never forget to spray some heat protectant on your hair. Heat tools damage your hair if they are in direct contact with them. The protectant creates a guard layer between the two and prevents your hair from getting damaged. Oiling your hair is great. But keeping it overnight is the biggest mistake most of us make. Contrary to what most women believe, keeping oil on your scalp for more than 5 hours clogs your hair follicles and damages your scalp. Instead of keeping the oil overnight, apply it for a few hours before washing your hair. Oh, no! Dry shampoo is only a last-minute saviour for oily and greasy hair. Get this straight—it does not clean your scalp. Instead, it only adds shine and bounce to your hair and gives an illusion of being freshly washed. You can use your dry shampoo once in a while but remember—nothing can replace water and the good old shampoo. Apparently, they do. Your pillow covers not only affect your skin but also your hair. If you are in a habit of sleeping on cotton pillow covers, abort! They tangle your hair and lead to hair breakage. Switch to silk pillow covers instead as they are don’t damage your hair.